Kuala Lumpur, April 9th, 2019 – In a session focusing on Indonesia’s experience as a Halal travel destination, Wisnu Rahtomo, CEO of the Team for Accelerated Development of Halal Tourism Ministry of Tourism of The Republic of Indonesia, shared how the country succeeded in positioning itself as a Halal destination, its experience with launching its own Muslim-friendly travel index, how the country is addressing challenges related to Halal tourism, and how he sees Halal tourism evolving in the next five years. To improve Indonesia’s positioning in Halal tourism, the team focused on improving the destination’s competitiveness and offerings by improving existing attractions and accessibility. They also focused on capacity building, by increasing the awareness of industry players and community stakeholders on the importance of the Halal travel market, and training them on how to address it. Lobbying top government officials for their support on Halal tourism was also an important focus, including lobbying for the approval of related policies, implementing regulations, and allocating the required budget. Also, very importantly, the team launched an integrated marketing campaign targeting its key markets and matching source markets with destinations that are most suitable to their preferences. To motivate the industry and to create healthy competition among Indonesia’s top Halal destinations, the country launched last June its first Indonesia Muslim Travel Index (IMTI) in partnership with CrescentRating and MasterCard. The IMTI focuses on 10 regions which the team had identified as the most suitable for Muslim tourists. These regions are: Aceh, Riau Islands, West Sumatra, Jakarta, West Java, Central Java, Yogyakarta, East Java, South Sulawesi and Lombok. The best performing regions were Lombok, Aceh and Jakarta. “Overall our experience with IMTI has been very positive. Already the regions are motivated to perform better this year and are reaching out for our advice. The index has definitely succeeded in creating a buzz and in creating healthy competition,” said Wisnu. In terms of challenges, Wisnu shared that the challenges include limited adoption of Halal certification on behalf of industry players and underpromotion of Indonesia as a Halal-friendly destination. In terms of Halal certification, many providers assume that since Indonesia is a Muslim country and that the food is Halal, there is no need for certification. To address this issue, Indonesia has established a Halal standard for the hospitality and food and beverage sectors, and the Ministry regularly holds informational seminars and technical workshops to educate industry players on the importance of certification and on how to become certified. In terms of marketing, although Indonesia has many options that would appeal to Muslim travelers, while having their needs as Muslims being met, they need to continue improving their marketing to reach Muslim travelers in their targeted regions. When asked about how he sees Halal tourism evolving in the next five years, Wisnu said he believed Muslim travellers are becoming more sophisticated in their demands and expectations. Already, Muslim travellers want to participate in adventure trips, be involved in eco-tourism, etc., while taking it for granted that their faith-based needs as Muslims will be met. Beyond basic sight-seeing and shopping packages, Muslim travellers now expect their needs to be met while partaking in trips ranging from adventure travel to beach holidays as well as in immersive experiences. “I expect that in the next five years the Halal tourism industry will be equally sophisticated in addressing and even exceeding the demands of Muslim travellers. 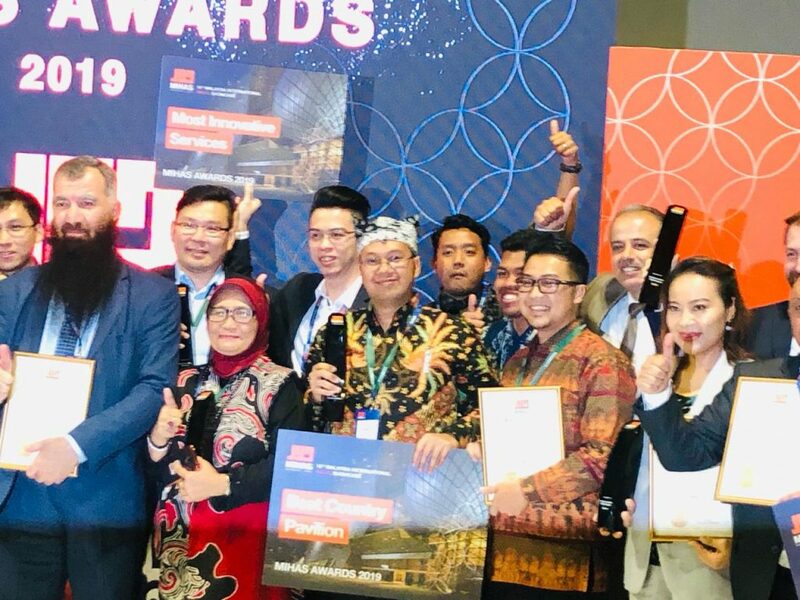 Halal certification of hospitality sectors will be a given, and industry players will start fine tuning their leisure offerings for Muslim guests, developing innovative itineraries, and further addressing the needs of Muslim travellers,” said Wisnu.